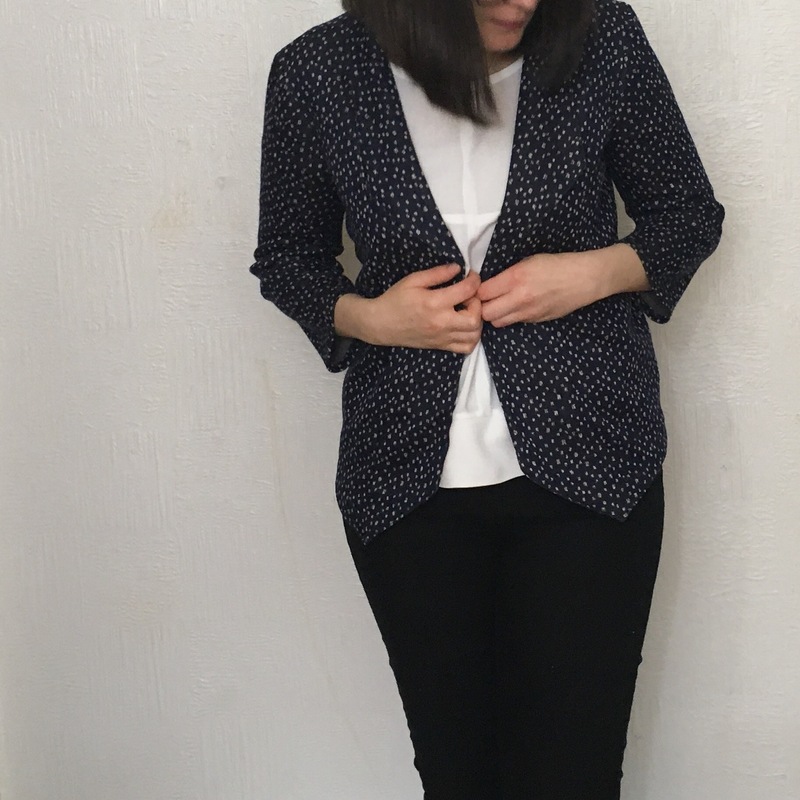 Disclaimer… the pattern itself has not been changed by the designers… but in comparison to my last version of this blazer… this one is awesome!! 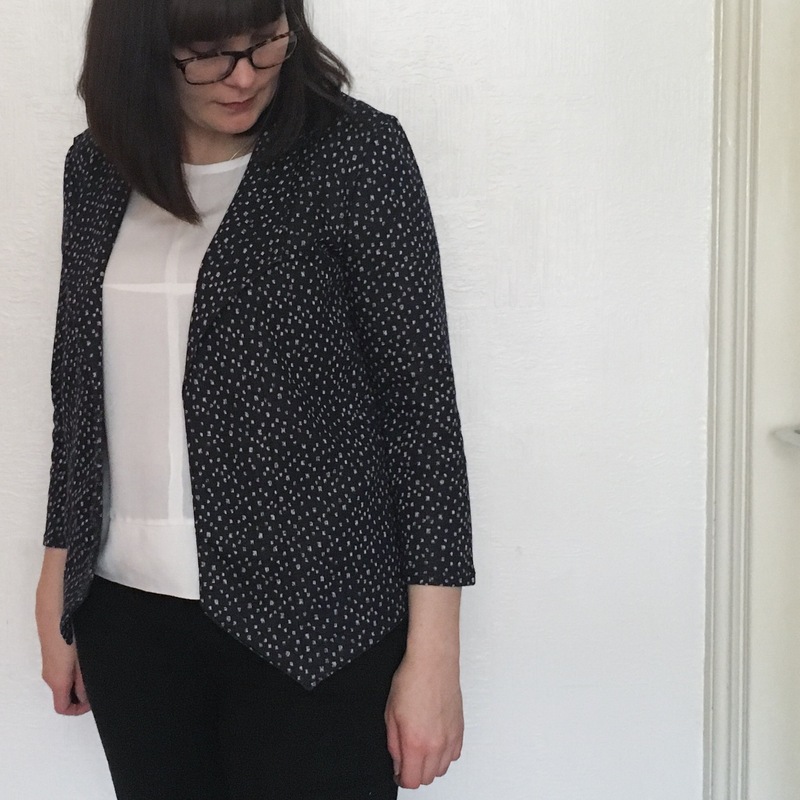 As the blog title may indicate… this is the Morris Blazer from Grainline. 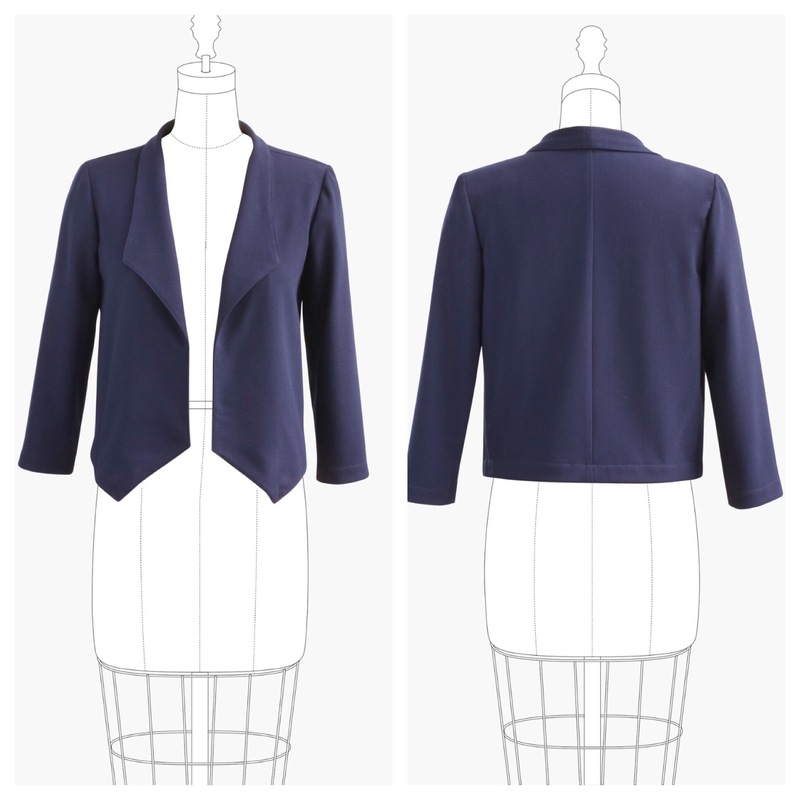 I made this last year in a cotton twill, and discovered why it’s designed for a stretch fabric (that is one snug Blazer). 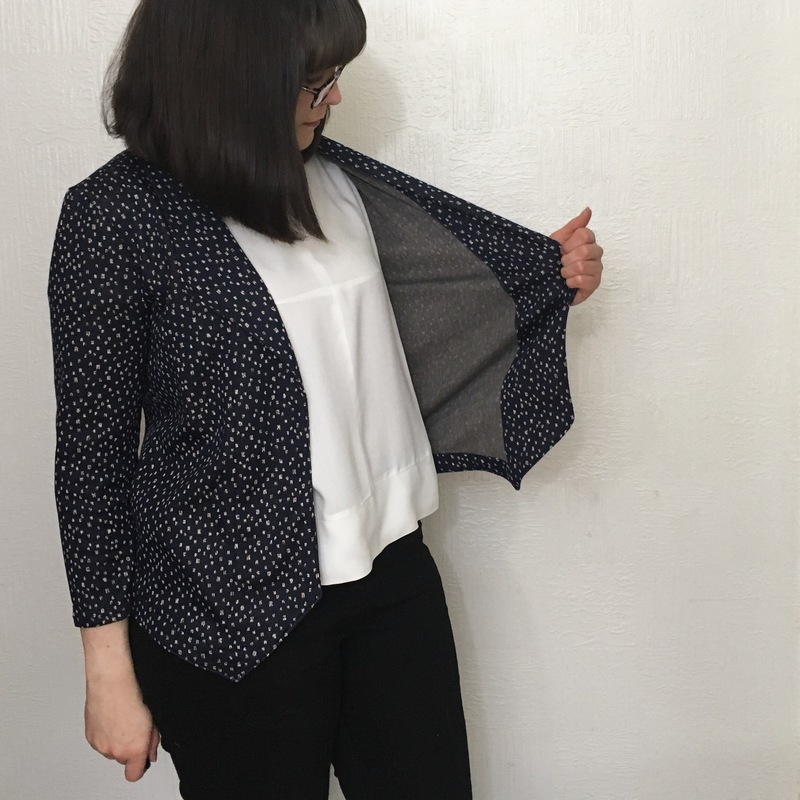 This time I used a ponte Roma jersey which has resulted in a really comfy, sort of cardigan weight, really rather smart, summer jacket. I made this in a size 6, but tapered out to an 8 at the waist. 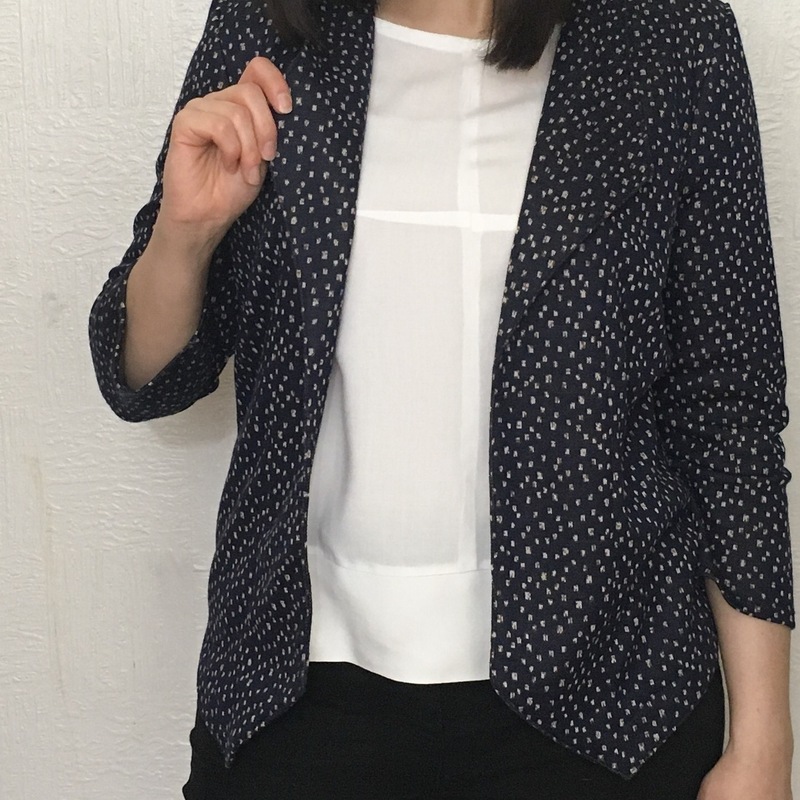 This was to cover my pear shape as I have also extended the jacket about 3″ at the waist… I’ve not changed the length of it anywhere else (sleeves are as per the pattern), but I wanted a version which would skim over the hips in a more slouchy/casual way. 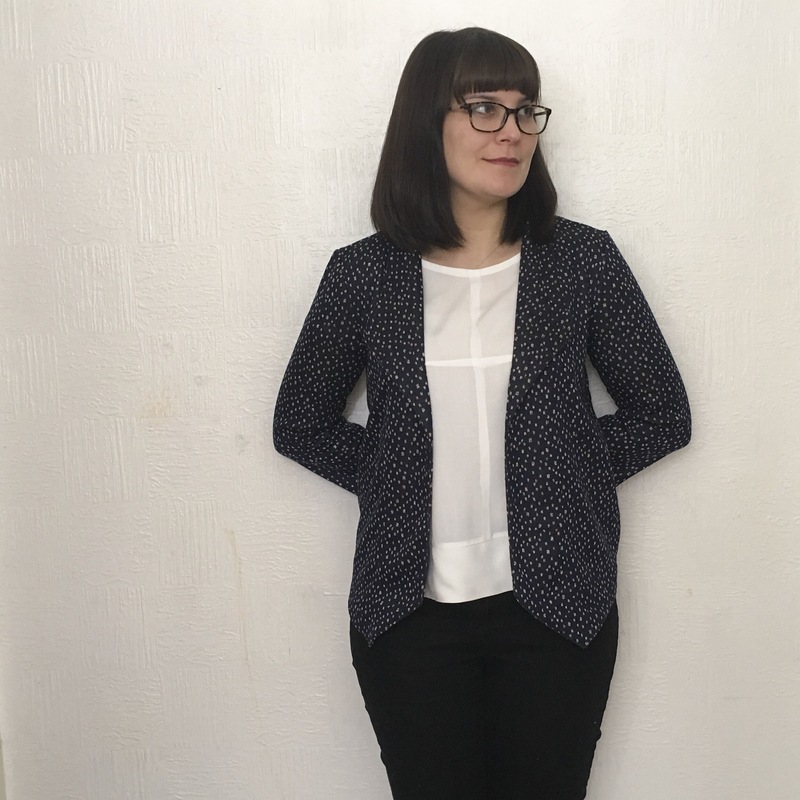 The fabric was sourced on eBay (as is so much of my fabric), and when it arrived I knew it had to be a Blazer, it’s a lovely rich navy with beige/brown squares all over it… for a jacket this is a bit more risqué for me. 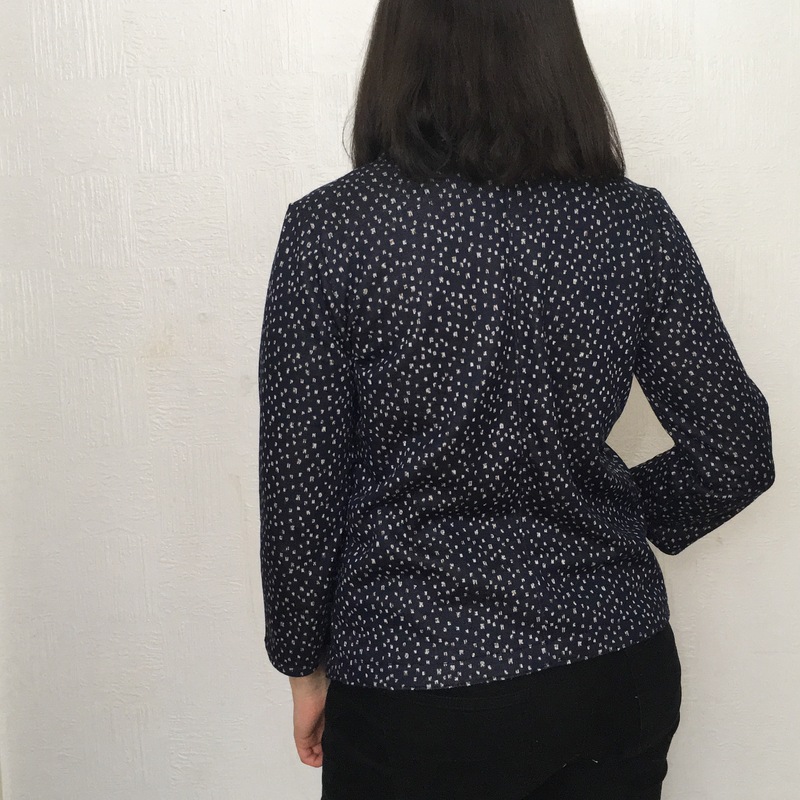 Plus it looks a bit busy when worn with patterned tops, if which I’ve got a ton… so I’m just going to have to make more plain tops to go with it… such a hardship! Because it’s quite a busy pattern the lapels don’t show up too well on the photos. Here I tried something new as I’d never used stretch fusible interfacing before. Easier to use than I expected I must admit, and It’s given the front of the jacket great shape. I’ve read that lots of other people have struggled with the ponte fabric drooping just above the hems creating a sort of bagginess… which I really didn’t want! So I decided to combat this by topstitching the facing down. The busy pattern hides it, but I think it’s such a clean line anyway that it looks fine… and yay! No bagginess!! Plus no arduous hand stitching that huuuuuge seam down… I have no patience for that stuff!! The ponte fabric is actually softer on the inside than the outside! It makes it feel sooo cosy to wear, and I’m now craving hot summer days where I can use this as my outer layer and strut around feeling smart/casual in an effortless sort of way… or at least that’s the dream! I also decided to topstitch that back seam down, just to make it sturdier. This extra line of stitching probably wouldn’t look as neat in a plain fabric… but can you see it above? Nope! This is a very heavy duty sewing win! The extra length fits just perfectly! And no extra adjustments (shoulders or upper arms) were needed at all! After nearly falling out with the pattern last time, I’m really pleased I persevered and tried it again… maybe there’s still another on the cards before the year is out!